Police are appealing for witnesses following an arson attack on a garage in the Nelson Park area of Fivemiletown. 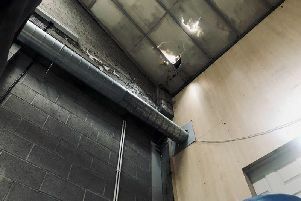 The incident was reported to police shortly after 8.15pm on Tuesday, May 10 and the fire was extinguished by Northern Ireland Fire and Rescue Service. Investigating officer Constable Ryan McVeigh said: “I would appeal to anyone who was in the area at the time and may have seen anything suspicious, or who has information about this incident, to contact Police on the new non-emergency number 101 and quote reference 1269.